With Cancer, it is not always easy to get through with your gifts and there is no guarantee that it would be liked by the person it is getting gifted to. Canc er are very precise about the gift as well as the way it is getting presented. They are quite etiquette while receiving a gift and thus you need to prepare yourself some lines in order to make them feel good while delivering the gift. It is better to present your gift in front of them with making a prior statement or brief talk. This would enhance your chances of getting the best possible reply from the one you are gifting. In order to choose the best gifts for Cancer, you must know primarily about their personality. They are very house loving and domestic nature persons, who love to get cared of. It is quite evident that these persons would be very sentimental in nature and they love the minutest details regarding your gifts. Be sure that the minutest of your gift’s details are not missed by Cancer at all. While you are up to choosing gifts for Cancer, you need to know a simple fact about Cancer. They love whatever you handmade yourself and gift to them. That could be anything and in any form. The love associated with those handmade gifts make them moved and they get emotional with such a lovely gift by you. It would certainly take some time of yours to make something on your own, but the results are definitely worth mentioning. You would secure a safe place in that person’s heart for a long time for sure, with this. If you are still confused on what would be the best choices for gifting Cancer, you could go through the following mentioned gift items and make them happy. 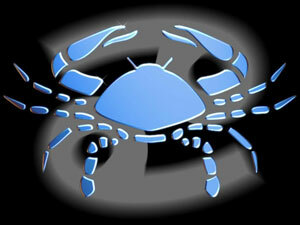 Cancer generally is quite emotional and sensitive and a gift related to their loved ones make them really happy. You could gift them a photo album with their kids or pet’s photo in there. You could also design the photo frame by yourself and give some of your personal touch to add effect to it. Décor is what Cancer loves to have in their houses and hence these gifts really make them happy and moved. You could give any household instruments or appliances to a Cancer. Literally any. They are in love with their house and the beauty of their house. They are more concerned towards a comfortable and nice house with all modern amenities present. Hence a vacuum cleaner or a mixer grinder would certainly score well, when it is Cancer. Cooking is also under the purview of Cancer. You could give them cooking books and cooking appliances for their kitchen. You could personally gift them a food album with diverse dishes made by you, as well. Any touch of silver would make them doubly happy. Hence, you could add silver jewelry, silver tea service or mere silver coins to gift them and make them terribly happy.